Being alone with my thoughts is usually something I try to avoid. Most days, the space between my ears is filled with nonstop rumination about what I need to do, what I should be doing and what I haven’t yet done. So a solo sport like running should be the last thing that helps ease my anxiety symptoms. But it does. Like so many other people who battle anxiety, this debilitating disorder looms large in my life. And even though I fight to keep my struggles silent, I know I’m not alone. Anxiety disorders are the most common mental illnesses in the U.S., affecting 18 percent of the population, according to the National Institute of Mental Health. Although the Anxiety and Depression Association of America (ADAA) says that anxiety is very treatable, only a third of patients actually get help. Anxiety is a funny thing. It starts out as something you think you can control, but as time goes on it takes over. It’s hard to explain anxiety to people who have never experienced it. I know that a lot of times what I worry about doesn’t make sense: It’s irrational, illogical and emotional. And because it’s all happening inside my head, others doubt if it’s real. So I smile and continue on, working hard to hide any sense of discomfort or impairment as I keep moving forward. And all the while I live with this constant sense of self-doubt and fear that has no explanation. And when it comes to diagnosing and treating anxiety, no two stories are the same. The way we describe our physical and emotional sensations may be similar, but our triggers, length of time spent with an attack and how we manage our disorder all differs. Anxiety comes in all shapes and sizes, which can make it difficult to treat. 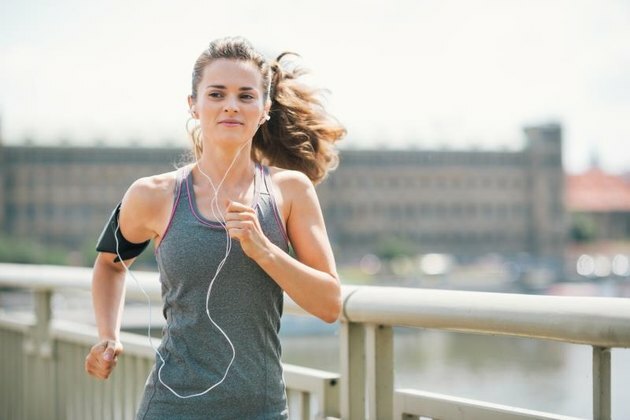 Aside from its physical benefits, there’s an abundance of research that’s shown the enormous benefits of exercise for mental health, including anxiety and depression. For many people, exercise serves as an affordable and easily accessible option for managing anxiety symptoms. Research from Princeton University concluded that physical activity reorganizes the brain so that its response to stress is reduced and anxiety is less likely to interfere with normal brain function. While these neurons are important in allowing us to think and act quickly when we need to, they can also cause anxiety when they get too active. “When levels of GABA are low, there’s nothing to calm down these excitable neurons, and that’s when anxiety can happen. Exercise increases GABA to adequate levels,” says Young. Many cardiovascular exercises (like running) stimulate the release of endorphins — hormones that block pain and enable you to experience euphoric feelings. Endorphins are released during strenuous exercises and make runners feel energized both during and after their workouts. Hitting the pavement can also make it easier for you to fall asleep at night, which benefits your overall mental health by improving memory, lowering stress levels and protecting against anxiety and depression. And then there’s this: Researchers have also proposed that the anxiety-banishing effects of exercise are because it serves as a distraction or time-out from worries and concerns. 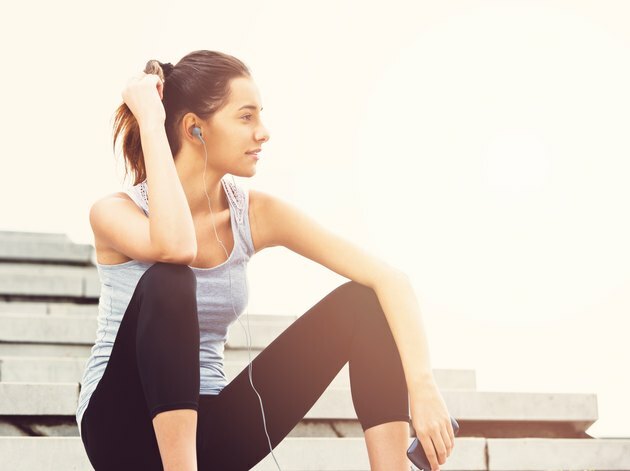 A 2012 study published in the journal Expert Review of Neurotherapeutics tested the time-out hypothesis among college-age women with anxiety and placed them into four groups: exercise only, exercise while studying (i.e., exercise in which a time-out is prevented), study only and control. They discovered that anxiety symptoms were reduced only for the women who were part of the exercise-only group, supporting the hypothesis that exercise decreases anxiety because it provided a break from daily concerns. Periodically stepping away from daily concerns may be easier said than done with busy schedules, but it’s clearly vital to our mental and physical well-being. I’m not sure if the anxiety will ever leave me completely — if I’ll wake up one day and be free of the pressure and the weight of this heavy burden. But I’ve learned to coexist with the racing thoughts and constant worry, and I know I can turn to running to help me find a sense of peace. When I go running, for a small window of time in my day I get a break from the daily (sometimes nonstop) concerns and debilitating thoughts. I never expected to find a form of therapy that involved a pair of running shoes and a long stretch of pavement, but I’m sure glad I did. Do you struggle (or have you struggled) with anxiety? Or maybe someone you love does. How have you tried to conquer your anxiety? Is exercising part of your treatment plan? What about running? Have you found that it helps? Share your thoughts and experiences in the comments below!